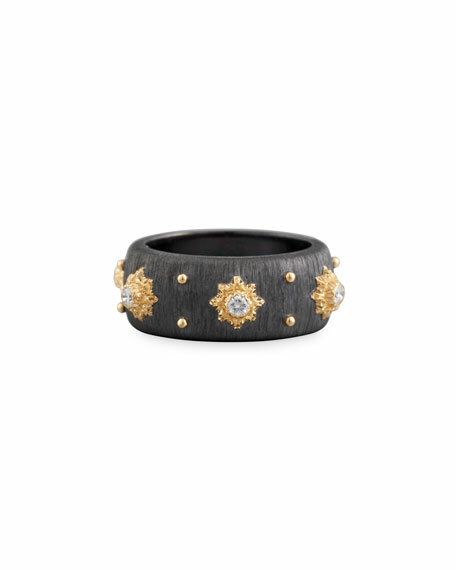 Eternelle diamond ring from Buccellati. Polished 18-karat yellow gold details. Wide black band with brushed finish.